Thank you for joining our most well-attended event yet! 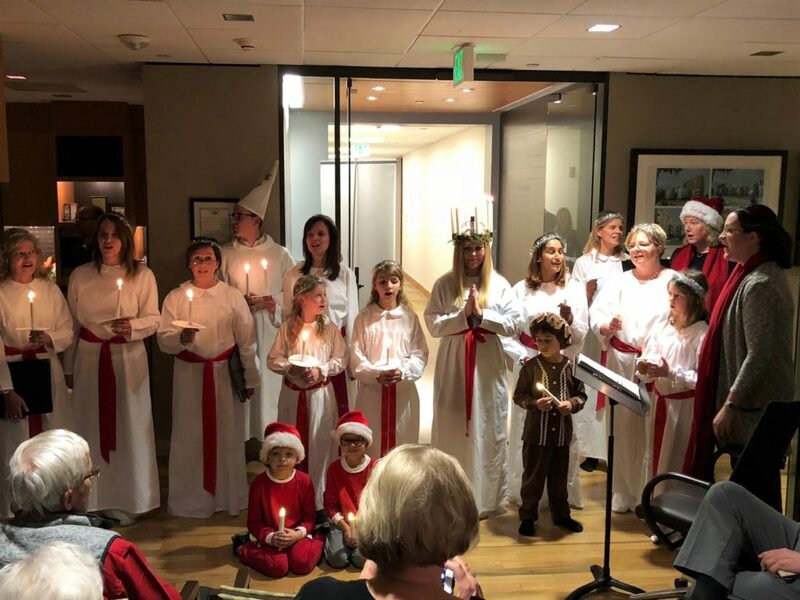 A big, heartfelt thanks to all 72 of you who attended last night's Glögg & Meatballs event with Lucia procession at the Swedish Consulate in Kirkland. We were very happy to see so many of you there for an evening of lovely singing, great Swedish food and even better company. Special thanks to Chef Malin Jonsson for making our delicious julbord, to the SWEA Choir for the beautiful singing, to author Anna Brones who presented and signed her book Fika, and to the Consulate of Sweden Seattle for providing such a welcoming space for us to gather in. We look forward to seeing you all at our events in 2018. We wish you a Merry Christmas and a Happy New Year!